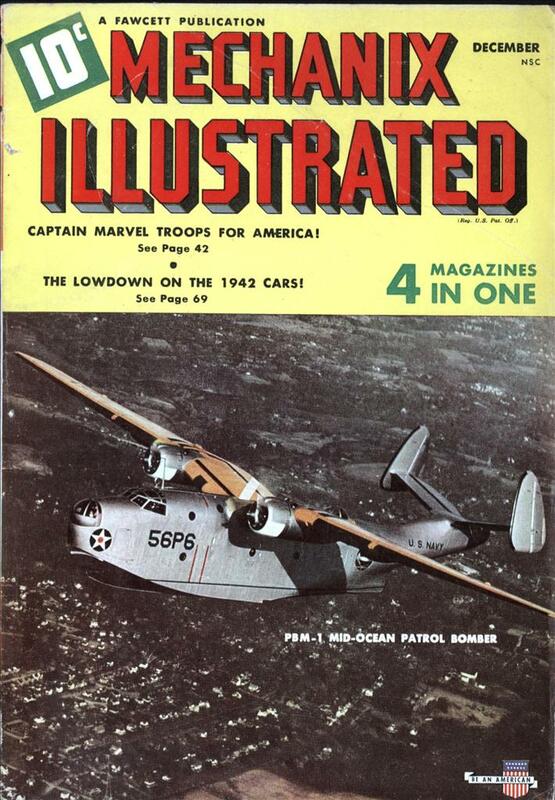 There have been a good number of aircraft that used contra-rotating propellers. 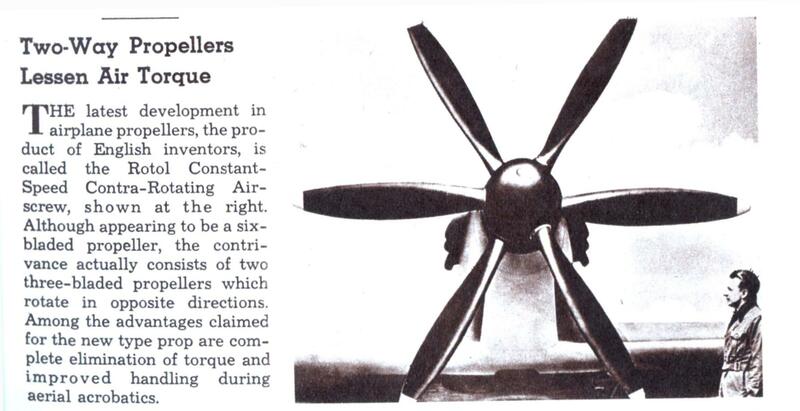 THE latest development in airplane propellers, the product of English inventors, is called the Rotol Constant-Speed Contra-Rotating Airscrew, shown at the right. Although appearing to be a six-bladed propeller, the contrivance actually consists of two three-bladed propellers which rotate in opposite directions. Among the advantages claimed for the new type prop are complete elimination of torque and improved handling during aerial acrobatics. Yes, contra-rotating props have many points in their favour, which arguably justify the mechanical complexity. Unfortunately, they tend to be REALLY REALLY LOUD. The Tupolev Tu-95 strategic bomber is probably the most successful aircraft to use them, and is said to have deafened countless crews over the decades. The USA managed to make an even louder plane once, but only by spinning a single prop well over the speed of sound, in the legendarily obnoxious experimental Republic XF-84H “Thunderscreech”.